Dan Osborne's Instagram is enough to make anyone a little broody - and this latest one of his daughter, Ella, is no exception! Ex TOWIE star, Dan Osborne is definitely taking home the award for the most Instagram posts of his kids out of anyone, ever! But we don’t care at all – because they’re so irresistably adorable. 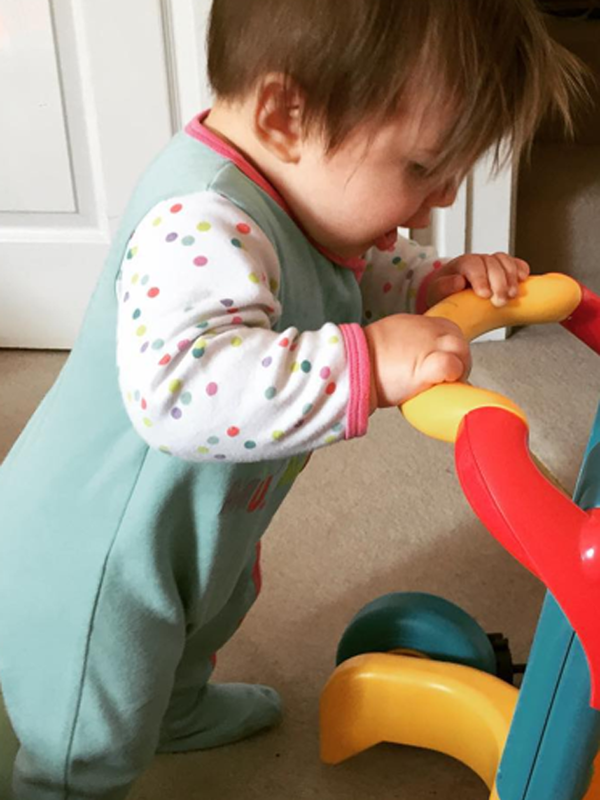 His latest picture of baby Ella is too cute for us to handle, but it isn’t surprising when your parents are as flawless as Dan Osborne and Jacqueline Jossa. It only seems like yesterday that Dan, 24, and Jacqueline, 22, welcomed their little girl into the world – and apparently Dan feels the same way. He confessed that Ella is ‘growing up too fast’ and has even gone as far as to say ‘stay a baby a bit longer please’ – so she can’t be much of a handful then! But it isn’t just Ella who has inherited her parent’s dashing good looks. Dan has an older son, two year-old Teddy, who is just as unbelievably cute as Ella. How can one family all be so perfect?! Unfortunately, Dan was axed from reality show TOWIE after making headlines a few months ago when a tape was leaked, in which he was heard threatening to stab ex-girlfriend and mother of Teddy, Megan Tomlin, but no police action was taken. Dan is now fully committed to Eastenders beauty, Jacqueline. He even proved his dedication by getting her first initial inked onto him – joining his many other tattoos! 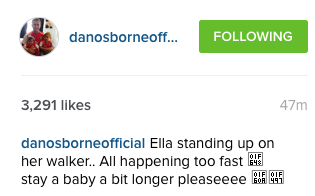 The couple are as loved-up as ever, and Ella clearly gets cuter and cuter every day. If Dan is really that gutted about his baby girl growing up too fast, perhaps we will see the arrival of another mini Osborne soon – who knows! Jacqueline made a dramatic return to Eastenders on Monday’s episode. Her character, Lauren, came back ahead of her dad Max’s murder trial. We hope she has enjoyed her well-deserved maternity break because it looks like things are getting pretty serious in Albert Square!